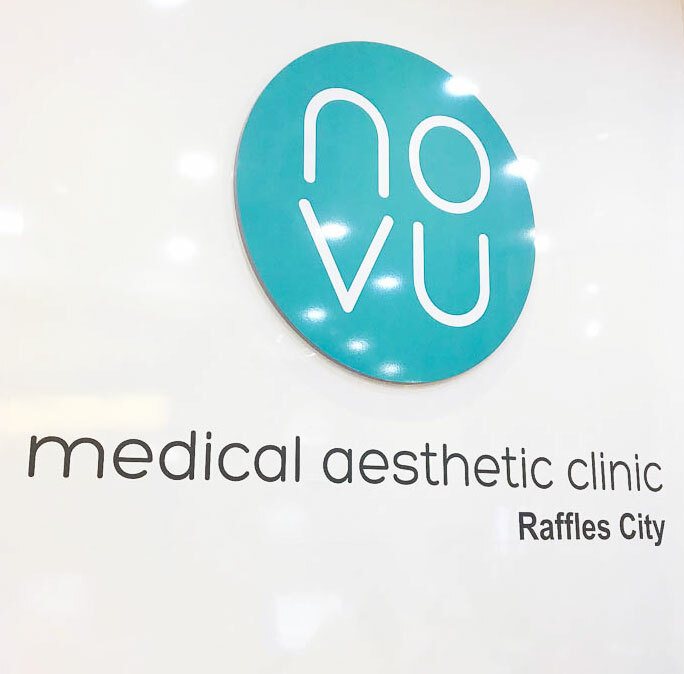 Recently, PPP Laser Clinic (a well known aesthetic clinic with 40 outlets around the island and is Asia's largest medical aesthetic chain) undergone a brand evolution and is now named NOVU Medical Aesthetic Clinic. The outlets are slowly being converted in stages, with the branch at Raffles City being the first. 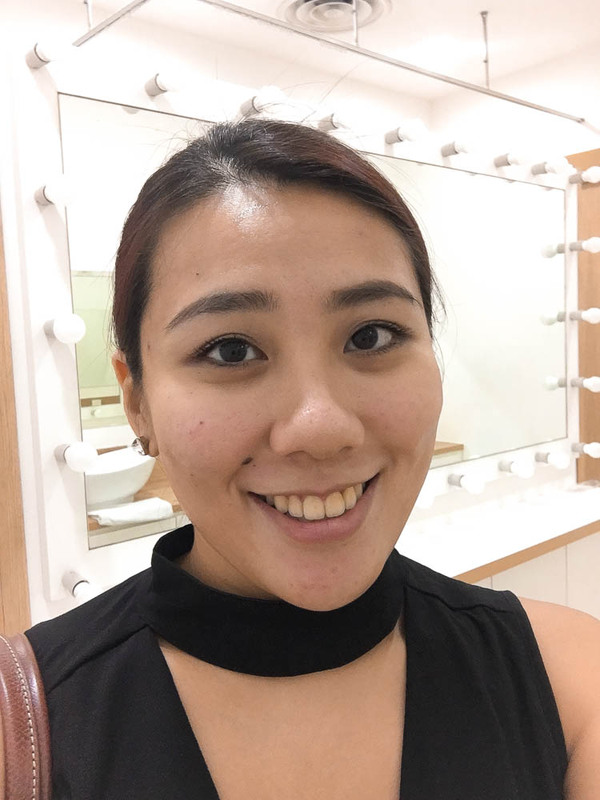 Last year, I dropped by their clinic at Raffles City to experience their 360 Solution which is an integrated approach to skincare solutions, involving the tackling of skin issues related to colour, consistency and contour. 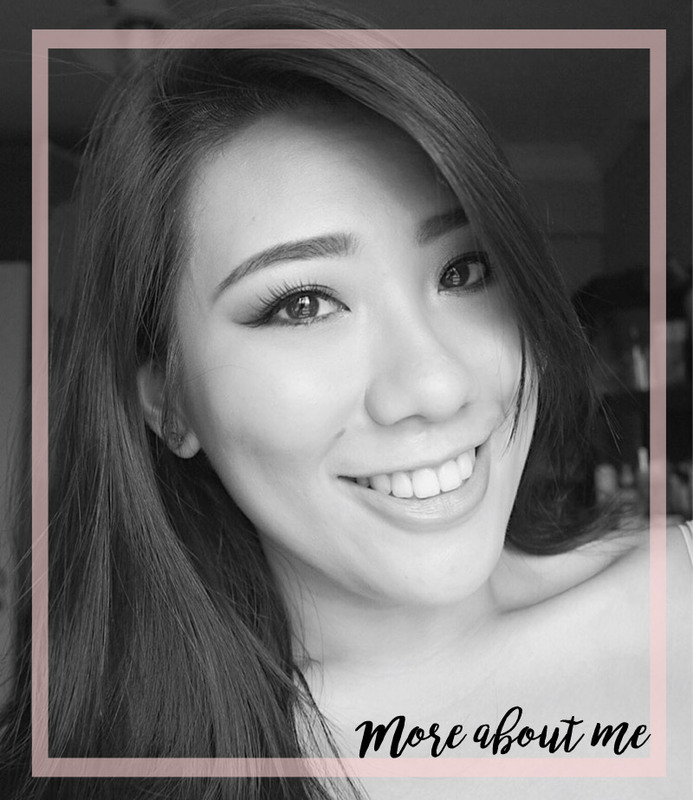 You can check out this post to read more about the various treatments and my experience. 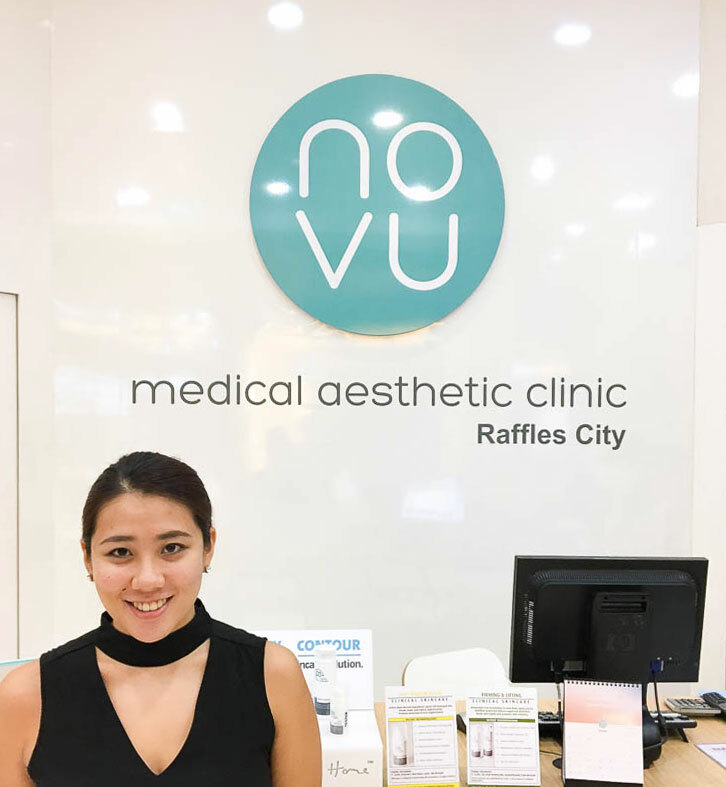 In addition to the 360 Solution, NOVU Medical Aesthetic Clinic has incorporated more than 6 primary treatments and new in-house skincare product lines over the past few months as well. Let me share them with you here quickly. Newly launched are NOVU Evolution Series that are specially designed to address certain skin issues. There is Sirius, which is a programme created to target pigmentation issues such as scars and melasma. Tierra, another programme, is focused on anti-aging and tackling wrinkles and sagging skin. The last programme is Europa, which is created to counteract acne and acne scars. As someone who struggles with acne and its nasty counterpart of scars, Europa does seem intriguing. It does involve micro needling which does scare me as I have only tried non-invasive procedures so far. Despite so, I am still considering it and I'll be sure to write about it here if I mustered enough courage to try it out. NOVU has its own research and development as well as manufacturing arm and has thus released their own in-house skincare ranges, NOVU Elemental (essentials for daily skincare regimes), NOVU Clinical (prescriptive series meant to rescue, repair and restore problematic and damaged skin) and NOVU Enliven (anti-aging series). 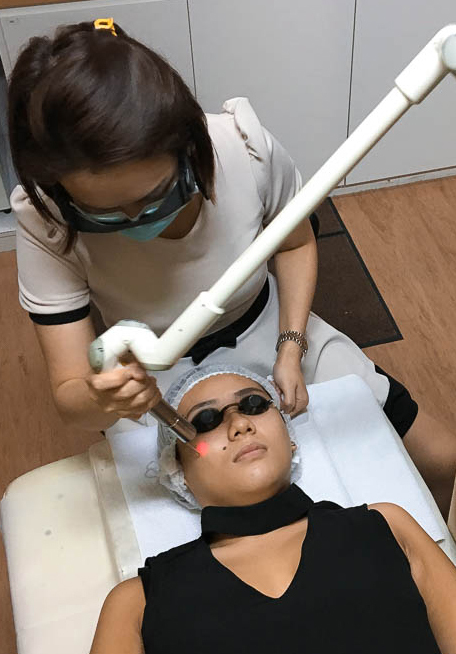 As I did enjoy my previous experience with their 360 Solution, I dropped by once again before Chinese New Year to get my face prepped for the festive season. After consultation with the in-house doctor, I was recommended to do the P+ Phyto Laser and Radiance Light, FL Pixelclear and Ion Infusion with Hyaluronic Acid. Do note that there is no numbing cream applied for these procedures as the intensities of the laser are not too high. Despite so, I did experience mild discomfort during the laser procedures itself, which lasted for about 10 minutes or so. Of course, individual experiences will differ. This is a 2-in-1 treatment that helps to deep cleanse the pores and rejuvenate the skin. It utilises a non-ablative (less invasive than ablative ones) to heats up the target tissues to help stimulate new collagen growth. This is also said to help to control melanin formation and control of oil glands to aid in acne recovery. 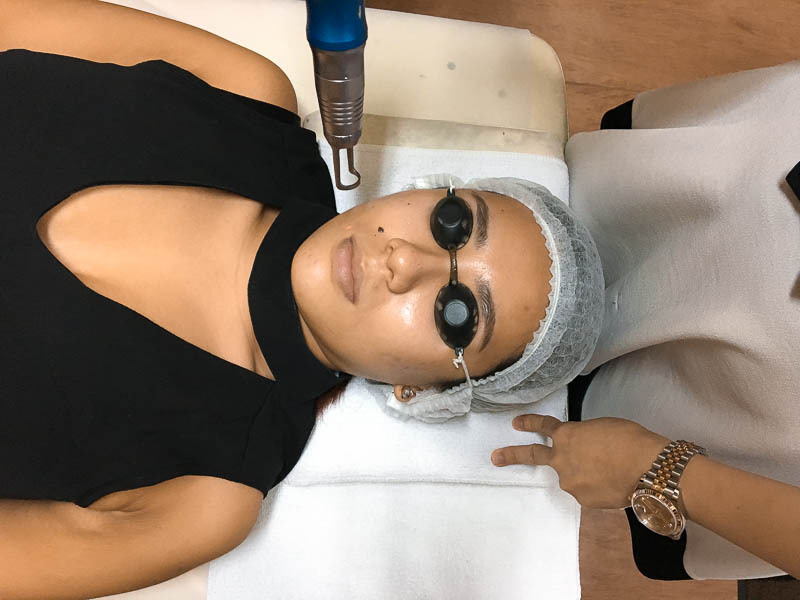 The laser is followed by a machine that dispenses polychromatic broad spectrum light pulses ( I have to be honest here, I have no idea what that means) to help give the skin a brighter and healthier glow. There was some discomfort during the laser. It felt like... tons of little rubber bands snapping onto the face. Don't let my description scare you though, this wasn't anything to wince or whinge about. The laser was followed by the pulsing of light that is also meant to help calm the skin down. 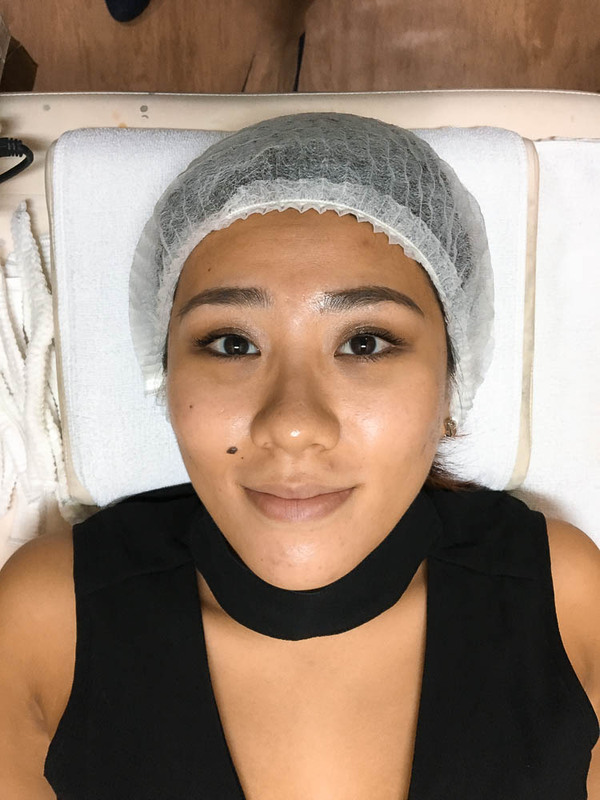 Right after, we proceeded to do the fractional laser which is meant to aid in skin smoothing. 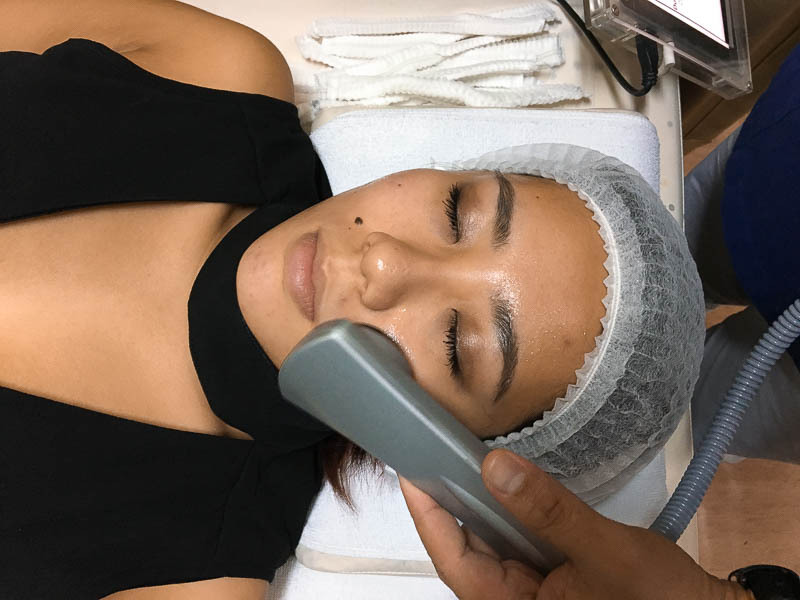 What this does is that it creates tiny pixels on the skin surface which then triggers the production of healthier skin and collagen when the skin repairs itself, as well as help to retexturise and smoothen the skin surface. This is also said to help reduce pore size and remove any superficial epidermal pigmentation. This laser hurt slightly more than the previous one, I would say. The stinging effect is slightly more intense. However, no pain no gain and it was only for a short while anyway. After both lasers! My face did feel a little like it was on fire. After these two procedures (which took less than 10 minutes), my face did feel hot and there was a slight burning sensation to it. Now, I've done these lasers before and to me, I think the discomfort level is roughly the same despite me no longer being a laser virgin. This step is my favourite. This utilises a hyaluronic acid serum to help effectively hydrate the skin. 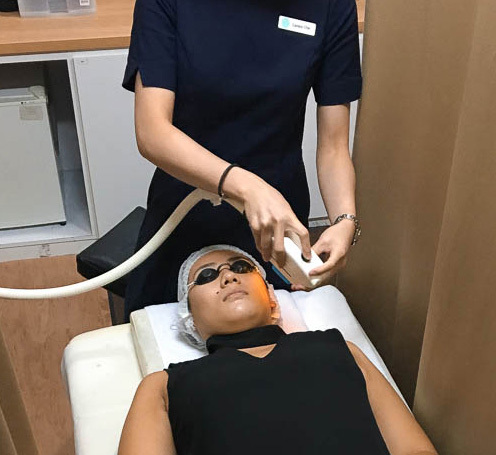 The machine utilises a cold plate (this is a life saver after the lasers as it really helps to calm the skin down and reduce any burning sensation) that helps the serum to penetrate deep into the skin. It is extremely relaxing and my skin definitely was less red, plumper and more hydrated after this. The burning sensation and tightness from before was also eradicated. Due to the skin renewal, there will be some downtime after the procedures. Do expect some skin peeling and tightness in the skin. As I have experienced it before, I know it was best to not apply any foundation onto the skin for a few days after my treatments. If you read my post on my previous experience, you can see the nasty effects of applying makeup over the peeling skin. Thus, I suggest to skip the base and let the skin breathe. In fact, my makeup in the mornings only took 5-10 minutes and I was ready to leave! 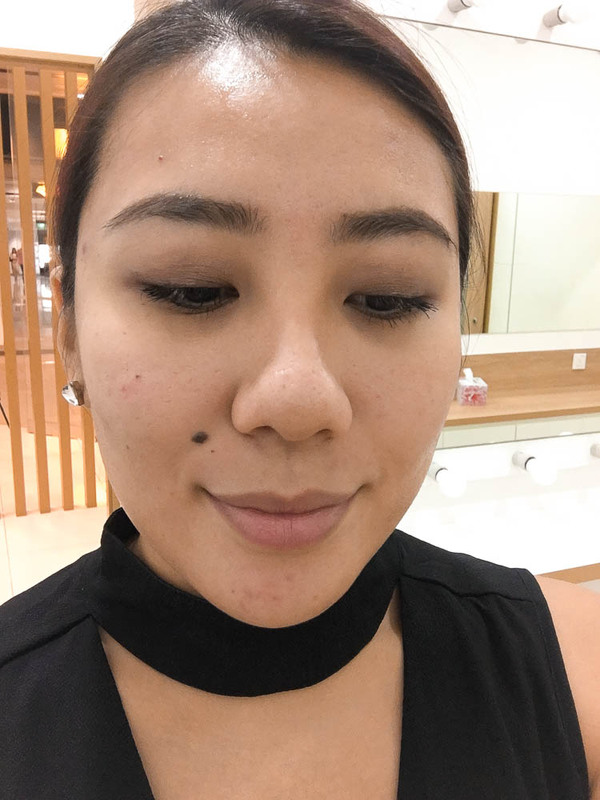 This is how the skin looked like on day 1 right after the NOVU 360 Solution. I only did my brows and a dab of concealer under the eyes. This is about 3 days after the treatment. 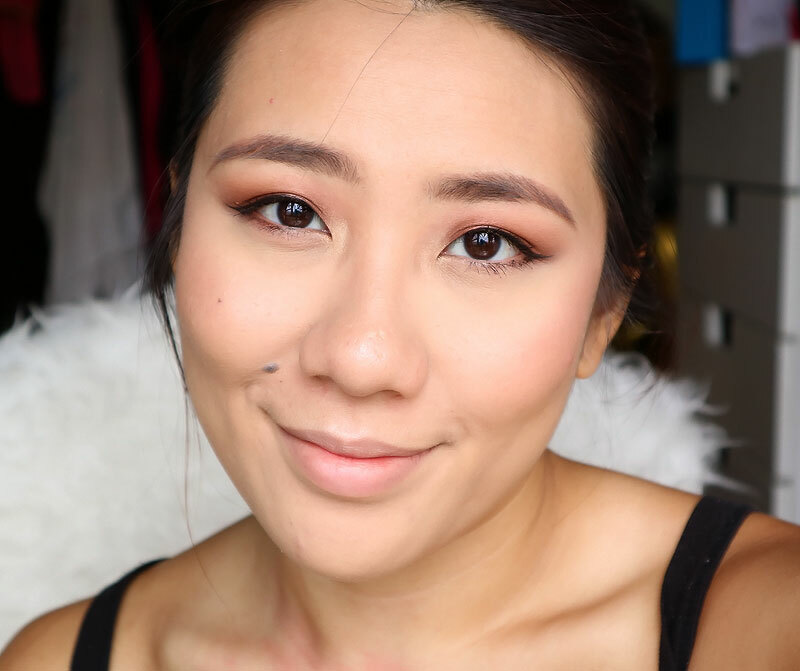 As I noticed that the skin was not peeling badly, I decided to add a little cream blush to the mix as well. I could not manage to get shots of my skin while peeling as this time round, the peeling of the skin was not obvious at all. There were no large chunks of skin peeling (unlike the last time around) and were coming off in extremely small patches. So apologies for the lack of images here! The downtime for this time round was less obvious for me, but I did experience tightness in the skin. Thus, I carried about a hydrating facial mist and would spray it onto the face pretty often throughout the day as I do work in an air conditioned environment. The facial mist that I reached for was The Face Inc Primer Mist, which I mentioned in my review here if you're interested and it helped out a great ton. 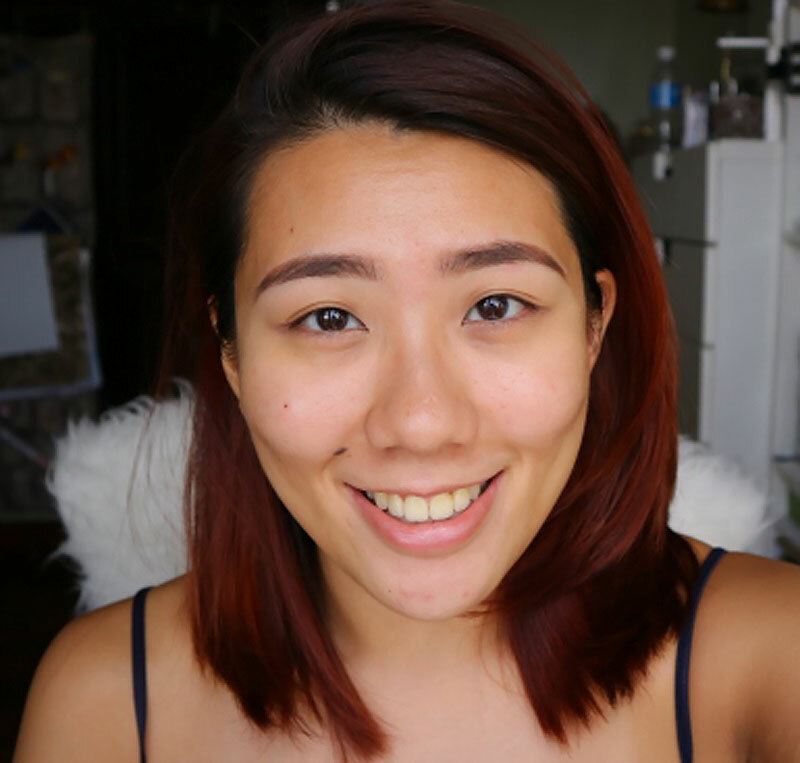 Overall, I did notice that the pores around my nose were less visible after the treatments and the indentations on my left cheek due to acne was slightly reduced. I had this pretty deep indentation on my cheek due to a horribly large pimple that decided to erupt and the I do notice that the scar is significantly reduced! 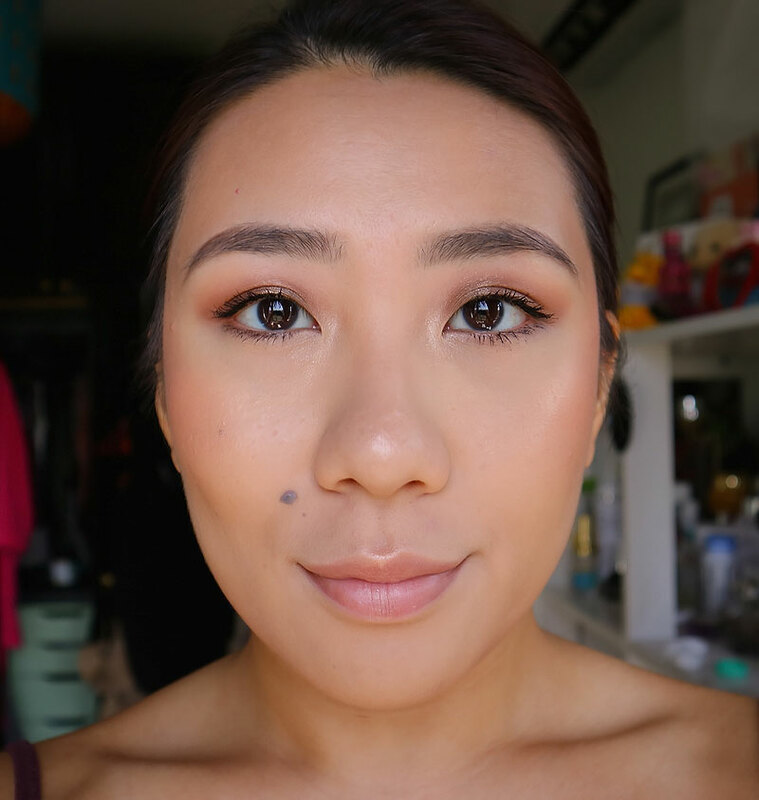 As mentioned before, my skin texture is not top notch and I definitely do need more sessions to help even out the texture. However, one session of the fractional laser did help to improve it quite a bit and I am pleased with the results. 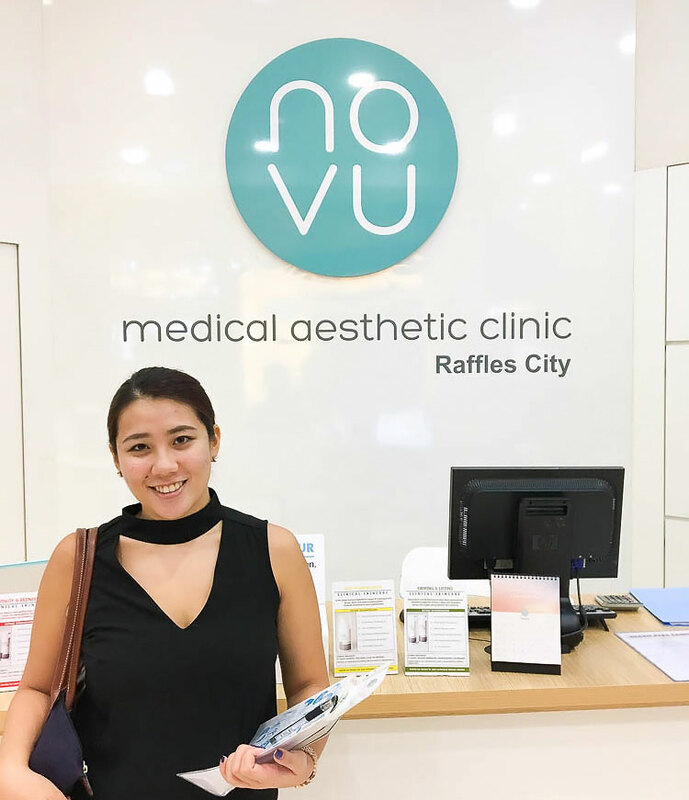 The NOVU 360 Solution taster pack also does include a CR Celluwave (stimulation of collagen and tightening of the skin) and RF Fibrotaut (lifts and tightens saggy skin while promoting oxygen delivery to the skin), which I did not undergo. The taster pack retails for SGD 360 per session. This is something you can consider if you're wanting to try out the procedures but are unsure of your commitment. It is a well-rounded procedure that is quick yet targeting many skin concerns. Do note that if you do have pretty serious texture irregularities on the skin like I do, multiple sessions will be needed. Hope this post was useful for you in some way! Have you tried any of these procedures before? If not, how do you think about them? Let me know!